When the original WarioWare released in 2003, descriptions made it sound like a bizarre Nintendo fever dream. Pre-release screenshots showed giant robot versions of Mario fighting Bowser right next to an image of fingers flying toward a pair of open nostrils. Playing the game led to similarly delightful confusion as you blazed through microgames doing tasks like twirling spaghetti or sniffing a runny nose at night in front of a lighthouse. 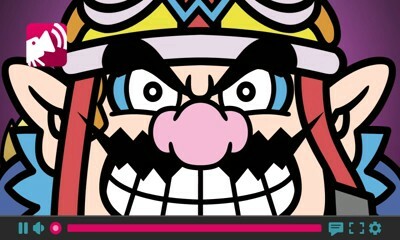 WarioWare has always been strange and joyous, and WarioWare Gold rounds-up the best from its history while delivering enough new microgames to feel like a new installment. A microgame is usually about three to five seconds and tasks you with completing a specific task as quickly as possible. You might have to insert a finger into a nose, or roll an egg under a chicken so it can be hatched. Plenty tasks veer into downright strange territory, like when you tickle a strong man’s armpit so he opens his mouth, releasing a rubber band to snap another strong man in the face. You also play snippets of Nintendo classics that include shooting an enemy in Metroid, tossing a shell at a goomba on the Virtual Boy, and using motion controls to squash Pikmin. Each one of the 300-plus microgames is a quick spike of weird joy, and even if you run into a few that don’t interest you, they’re off the screen before you can get annoyed. 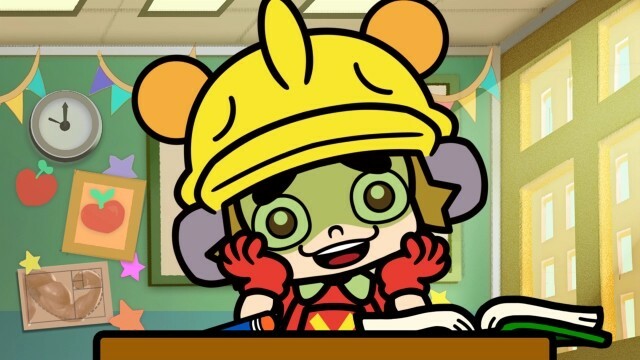 WarioWare Gold splits its microgames into four types: button-pressing, motion controls, touch-screen, and microphone. All work well, and later modes that force you to swap between the types are frantic and fun. The microphone games are the weakest, as they all involve blowing into the microphone. Even though that is less enjoyable than rotating the 3DS or simply pressing buttons, they do still hit the goofy, absurd heights of comparable microgames. The story offers fully voiced animated cutscenes, something few first-party Nintendo games have done. Wario speaks in full sentences, and characters like Jimmy T, Mona, and 9-volt (who in the past would say nothing more than their names) have goals and motivations that they share out loud. To hear all these characters is shocking and strange, but I like it. Hearing Wario formulate a plan to buy pizza using earnings from a questionable video game tournament is the perfect amount of weird. Outside of the microgames in the main story, you can unlock additional modes, strange interactive toys, and details about Nintendo’s history. My favorite is a fantastic mode from Game & Wario where you play as a child sneaking extra video game time under his covers while his mom checks to make sure he is asleep. 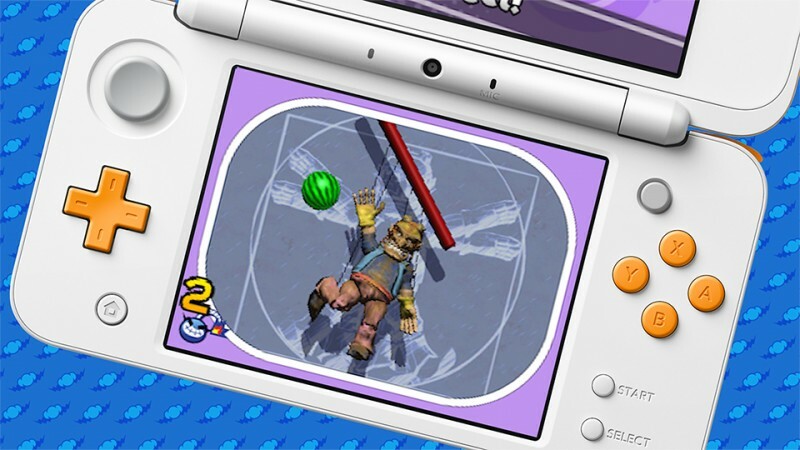 You also find oddities like a mode that speeds up or slows down the microgames depending on the angle you hold the 3DS. These extras are fun to play with, and mix up the typical gameplay while letting you still pursue coins. Toys and additional games unlocked with the coins from a capsule machine are also worthwhile pursuits. Mewtroid is a game that plays a meow-infused version of the Metroid theme while you roll around as a cat shooting human faces for a high score. You can also get alarm clocks you can set to wake you up that won’t turn off until you complete three microgames, and unlock scenes from the story mode and use the microphone to re-record them with your own dialogue. Not every toy is as exciting as these examples (some are just cards with details about the characters), but each one is unique. Seeing what weird thing you get from the capsule machine makes replaying the microgames to earn coins worthwhile – and replay them you will. For everything WarioWare Gold does well, it struggles to escape repetitious gameplay that surfaces the lack or legitimate depth. Longtime fans of the series will see plenty of new games but getting through the story only takes about two hours, and if you want to see every microgame and grab every unlock, you must replay the same modes over and over. Playing the same microgames to hopefully see one or two new ones isn’t ideal, and I lost my motivation to open every capsule shortly after finishing the story.